The thing that is so great about making your own pizzas is that you can pick anything you want to go on top of them. That's certainly not true when you buy them ready-made. Lately, I've been making some meatless meals, and not even missing the meat at all, because the recipe tastes so great. That is the case with this Veggie Lover's White Sauce Pizza, made with a delicious buttermilk based pizza sauce. 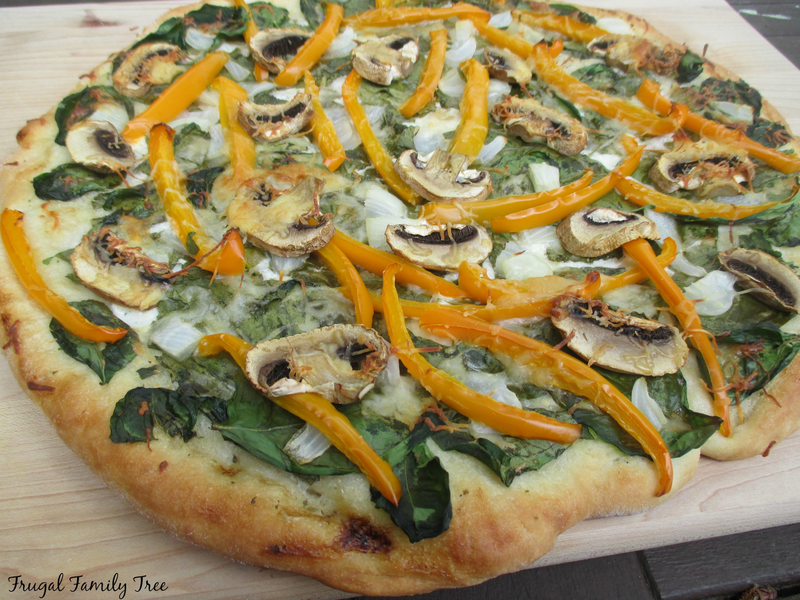 I loaded on some of my favorite veggies like orange bell pepper, mushrooms, onions, and spinach. This is my favorite pizza crust recipe. It's quick and easy to make, and tastes great with any kinds of toppings. It makes a 12" round pizza, and the recipe can easily be doubled to make two pizzas. And of course, you can put on whatever veggies you like, to make a veggie pizza, but these are some of my favorites. I especially like how healthy the spinach and orange bell peppers are for you. Melt butter in a medium-size heavy saucepan over medium heat; whisk in flour until smooth. Cook 1 minute, whisking constantly. Gradually whisk in 1 1/2 cups milk; cook over medium heat, whisking constantly, 3 to 4 minutes or until mixture is thickened and bubbly. Remove from heat, and whisk in buttermilk and remaining ingredients. Let cool before using on pizza. Turn dough onto a lightly floured surface and pat or roll into a 12" round. Sprinkle with extra flour if the dough is sticky. Transfer crust onto a lightly greased pizza pan. 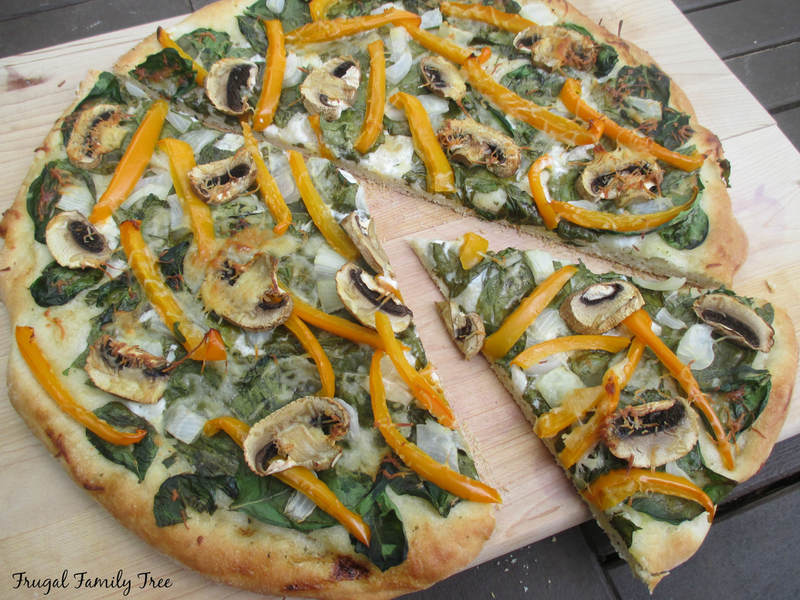 Spread a medium layer of pizza sauce on dough, and lay on spinach, and remaining vegetables. Top with cheese. Makes a large size pizza. Extra sauce can be stored in refrigerator for up to one week.